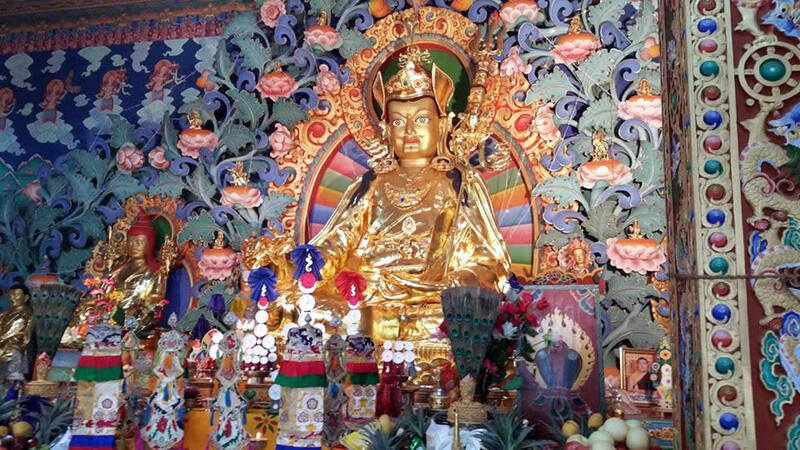 During the auspicious Tibetan Year of the Fire Monkey, the mandala of Mindrolling spun and shimmered ever more intensely. 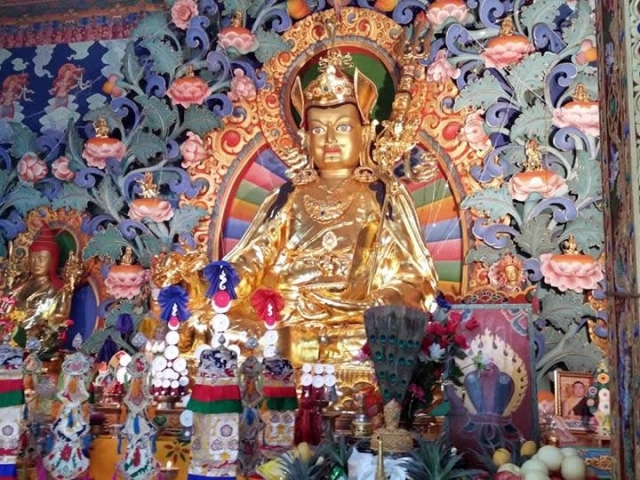 All its locations, including Lotus Garden, settled joyously into a web of glittering golden strands, while geographical distances seemed to dissolve in a rain of blessings. 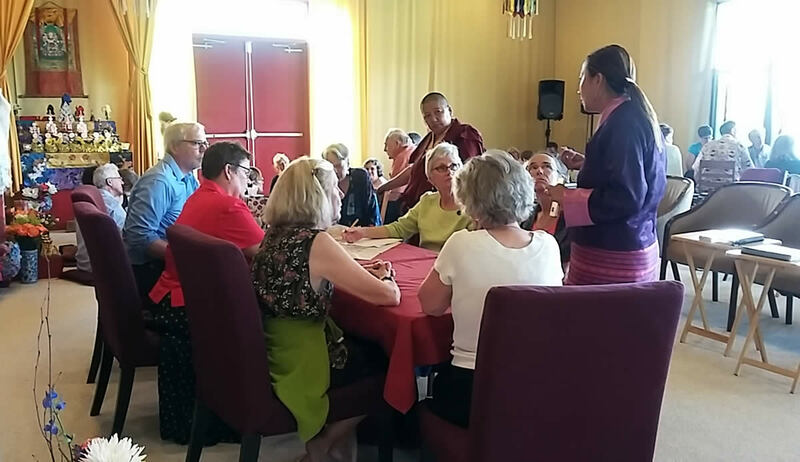 Throughout the mandala, the sacred took form as pilgrimage, empowerments, drubchoes, teachings, retreats, the building of temples, shrines and statues, kitchen and office renovations, administrative tasks, gardening, cooking and cleaning — all unfolding in a harmonious dance of activity. 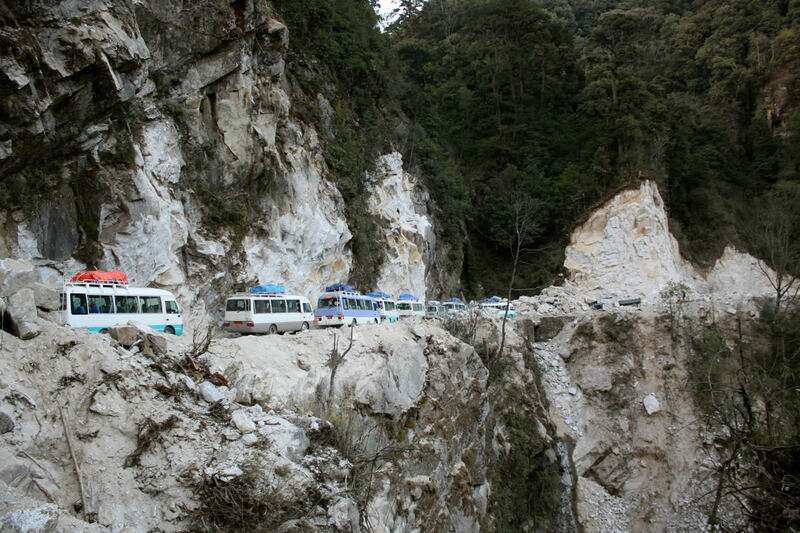 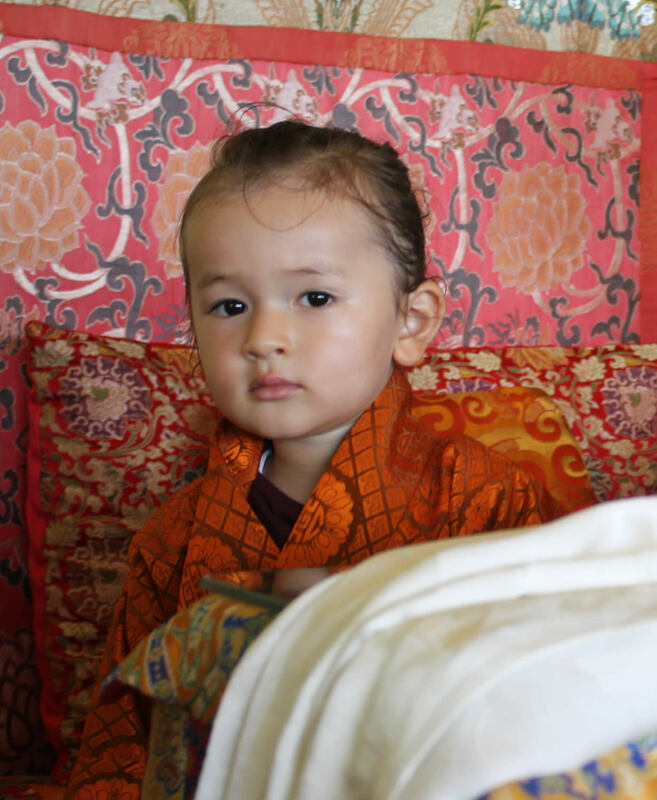 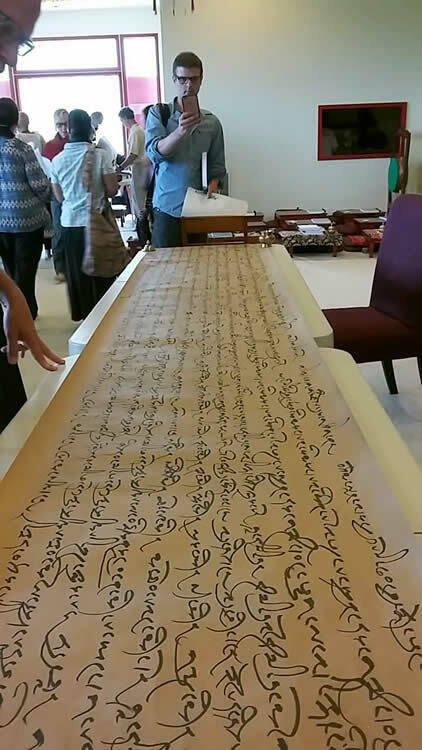 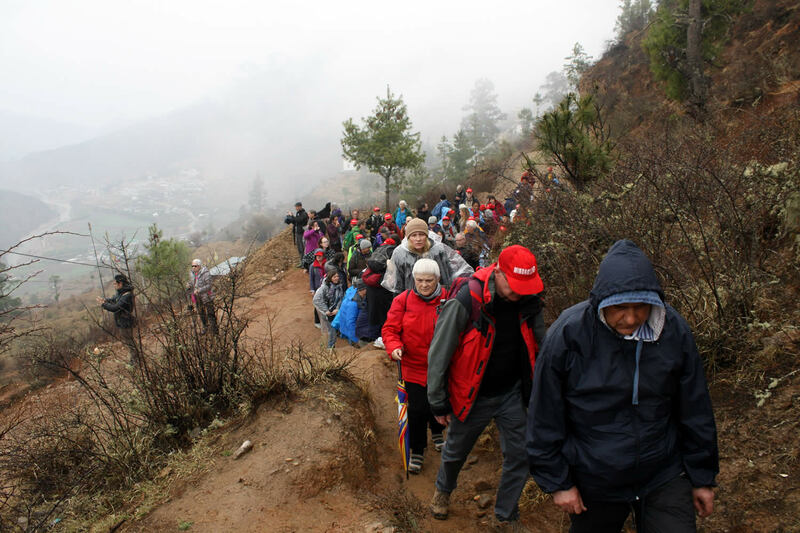 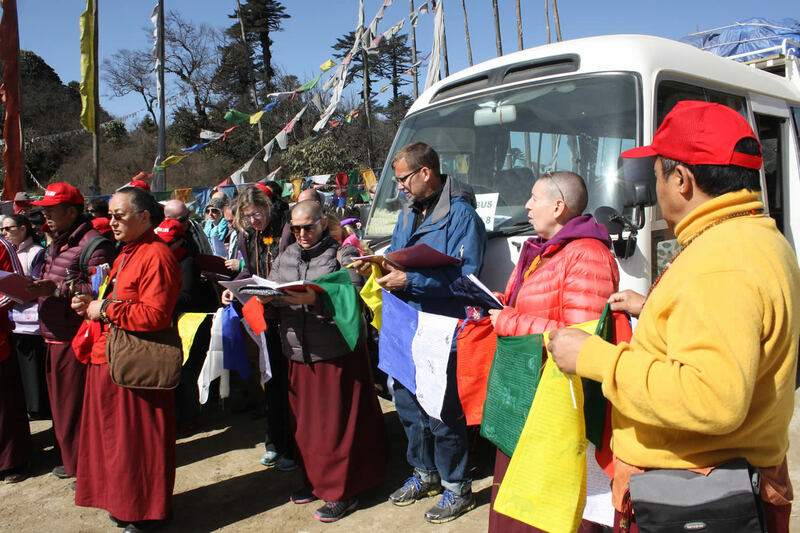 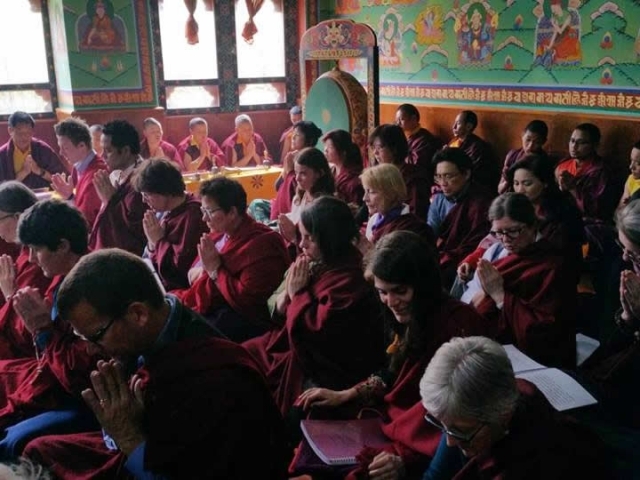 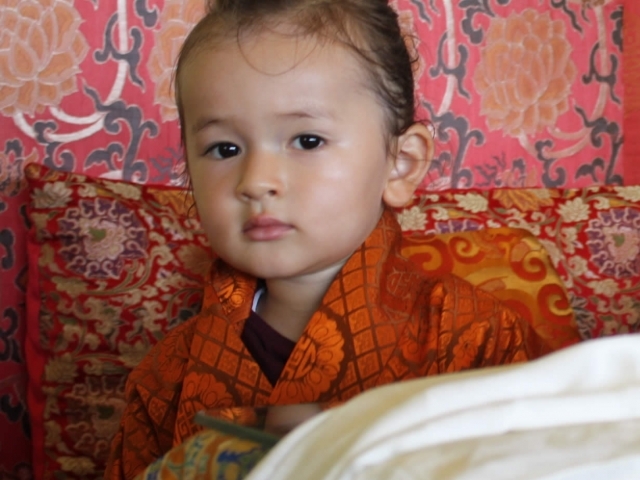 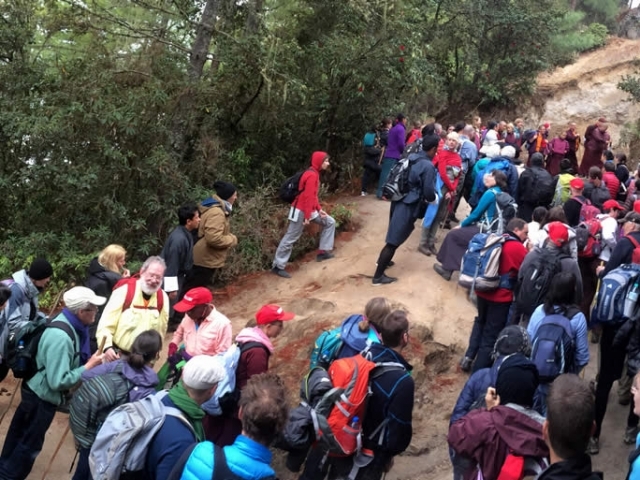 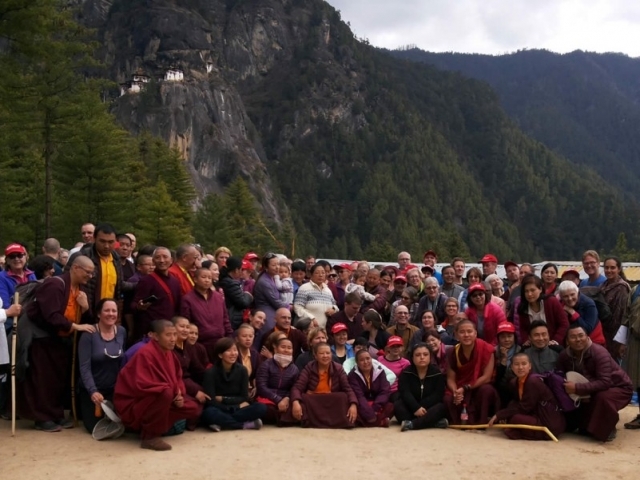 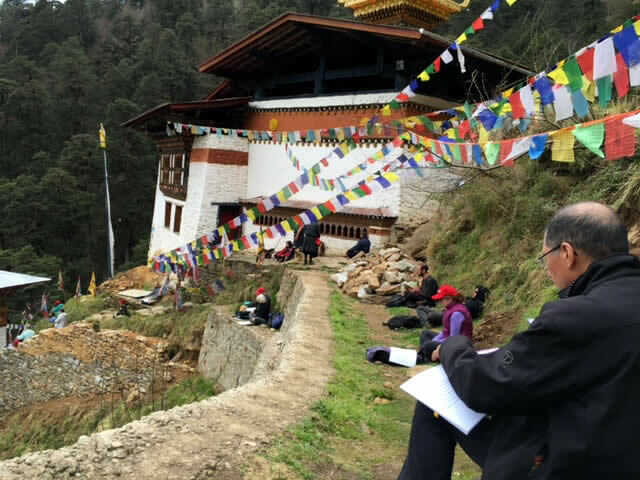 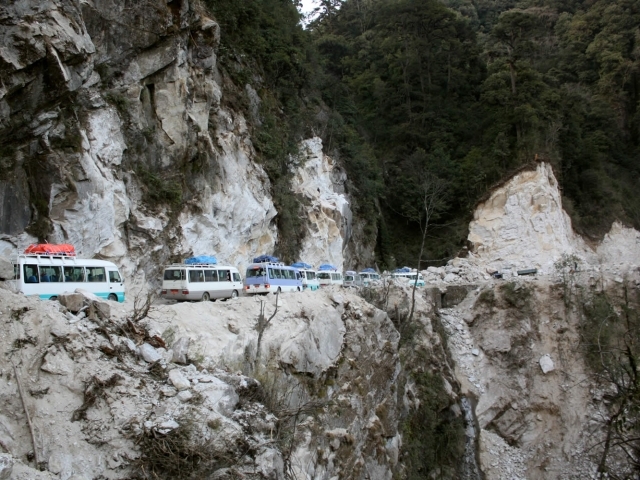 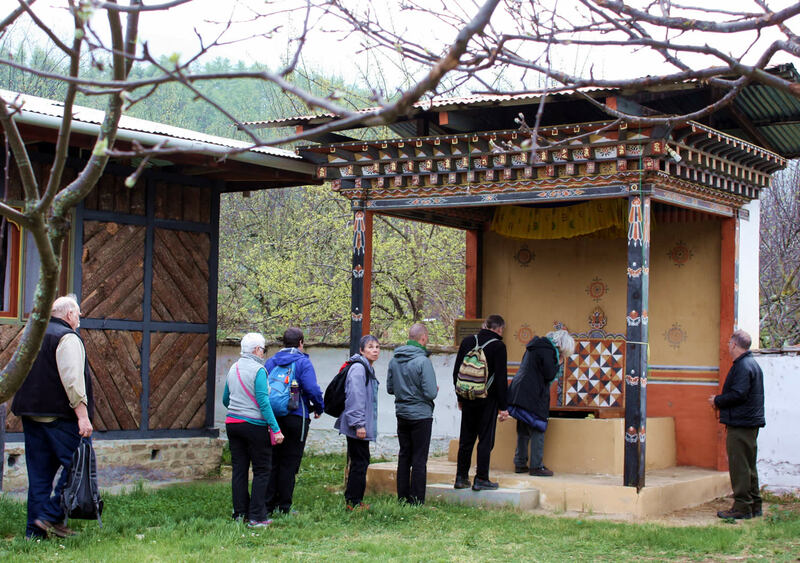 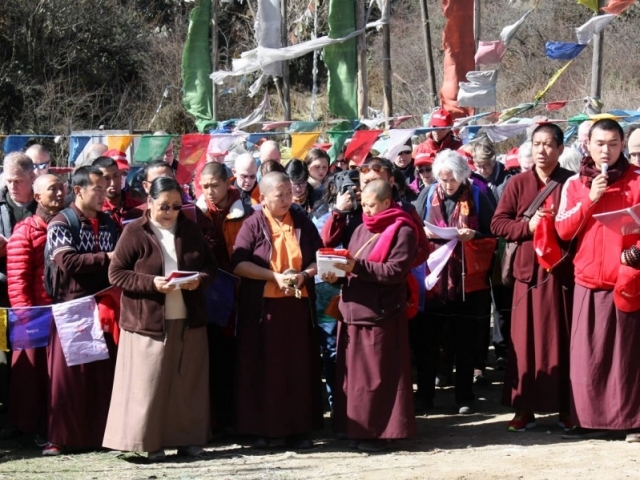 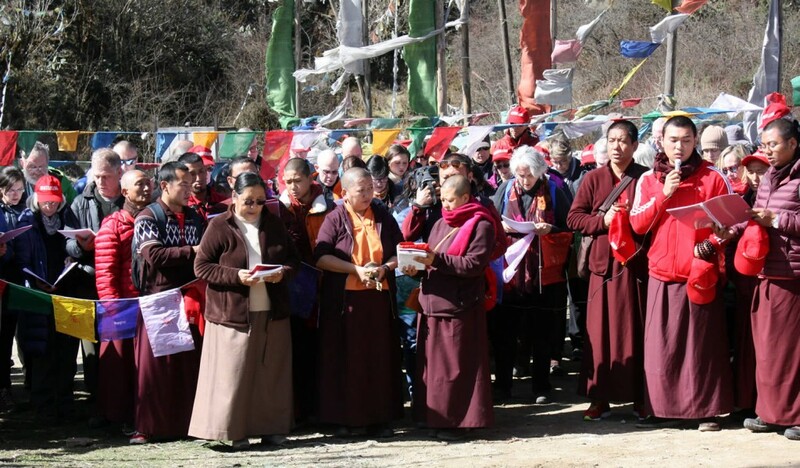 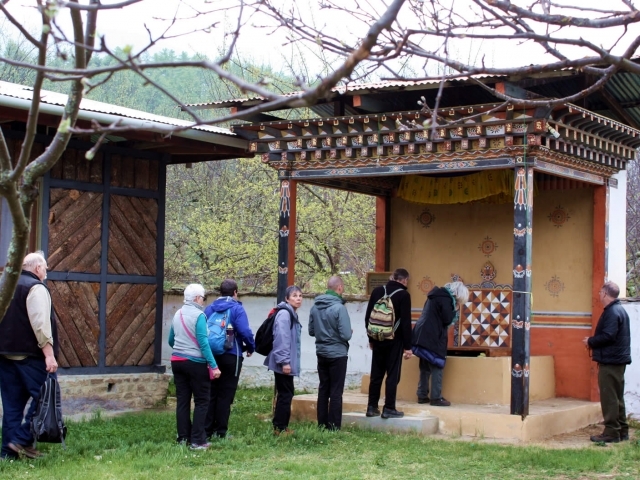 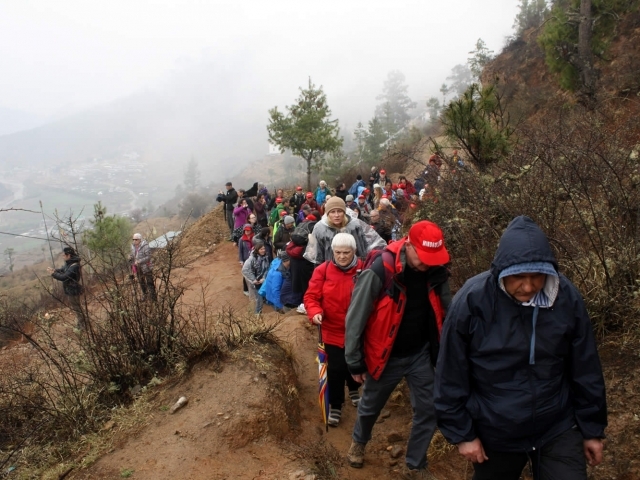 In March, Jetsün Khandro Rinpoche and Jetsun la, with inimitable kindness, led the Bhutan Pilgrimage which was undertaken by 180 members of the worldwide Mindrolling sangha. 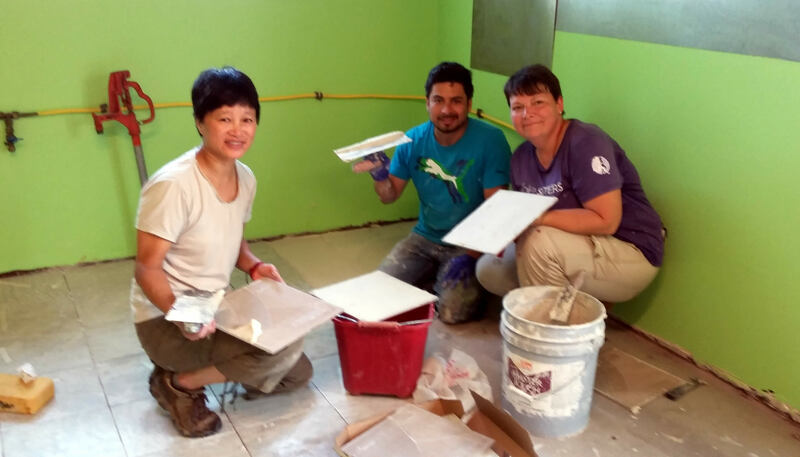 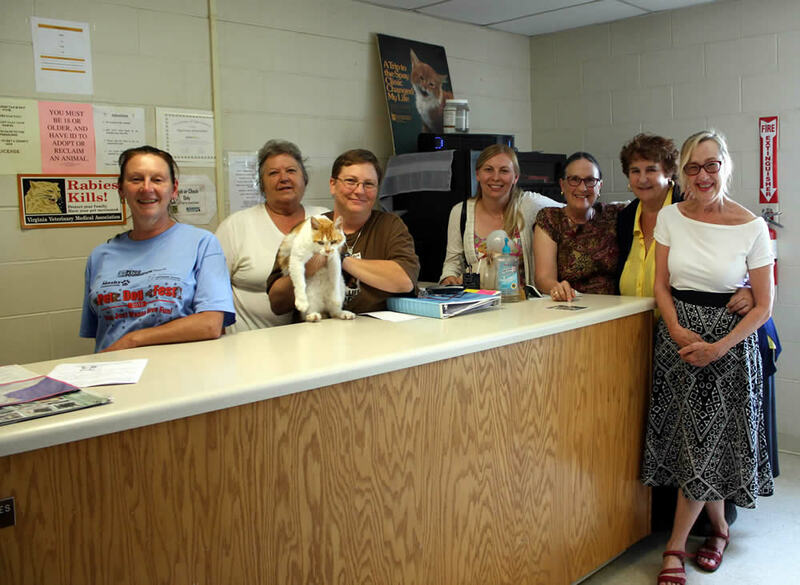 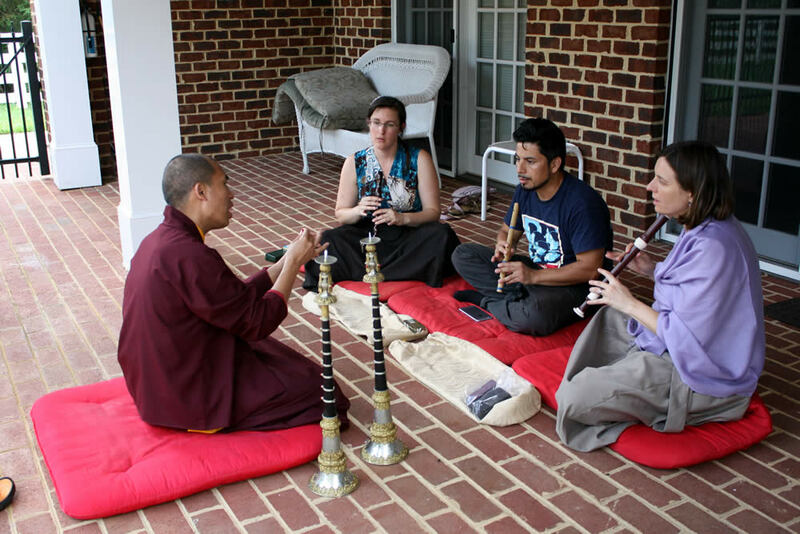 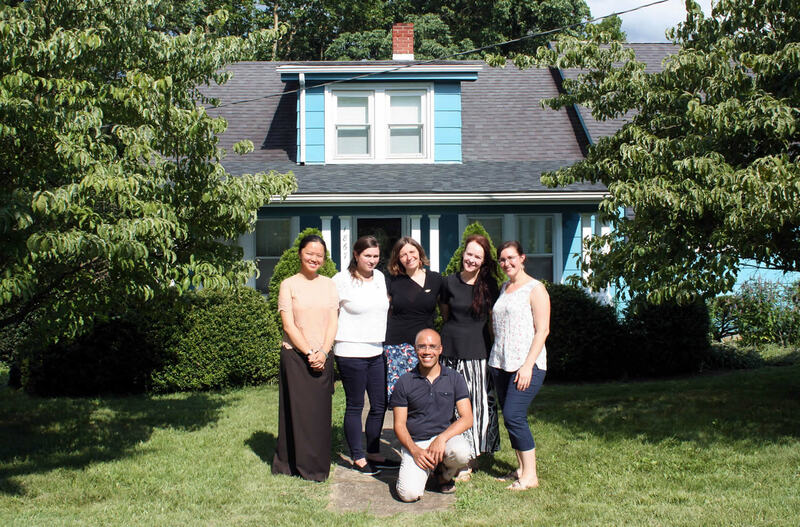 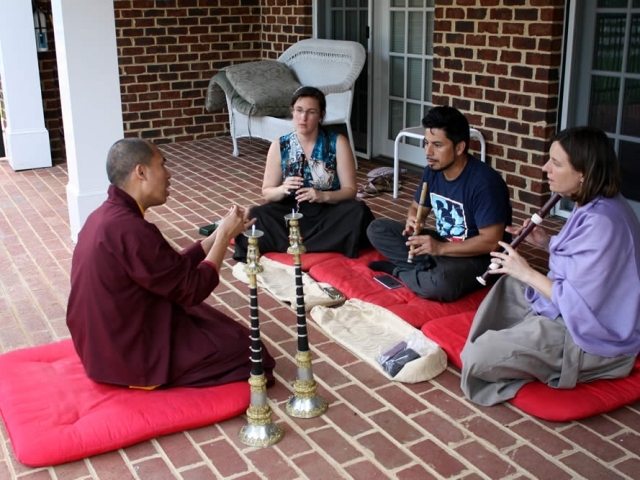 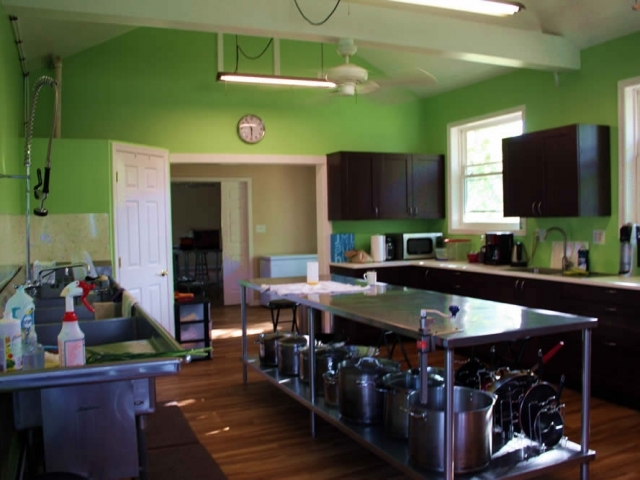 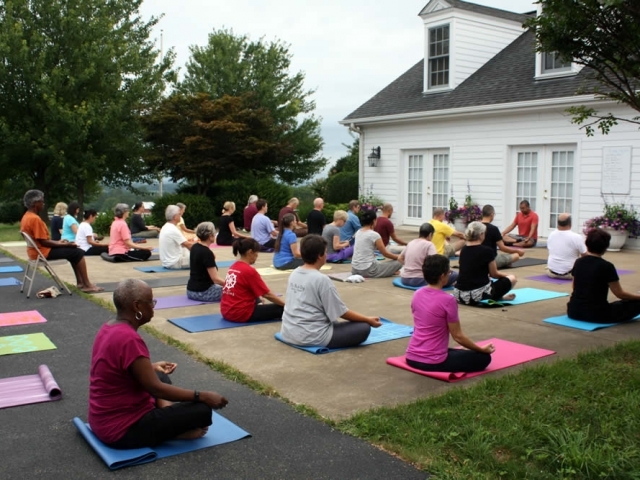 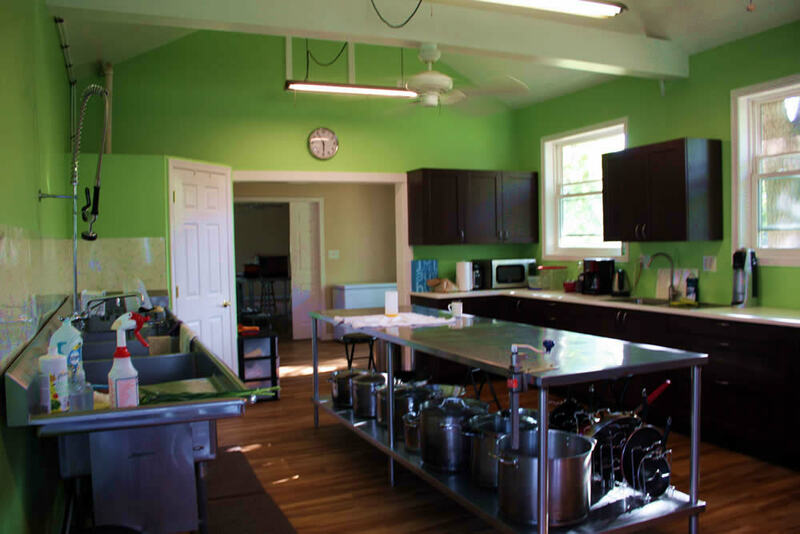 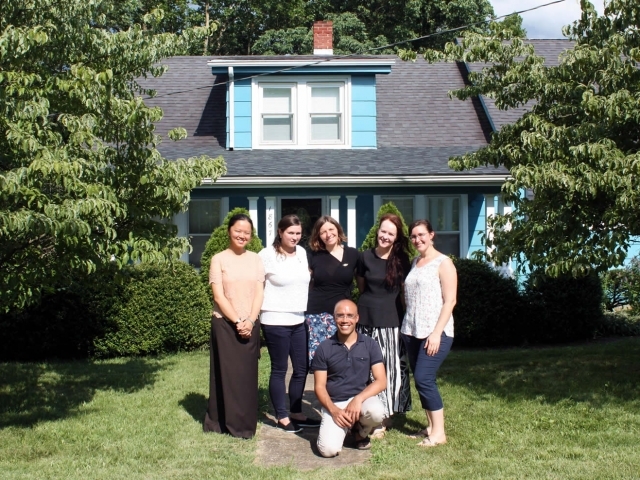 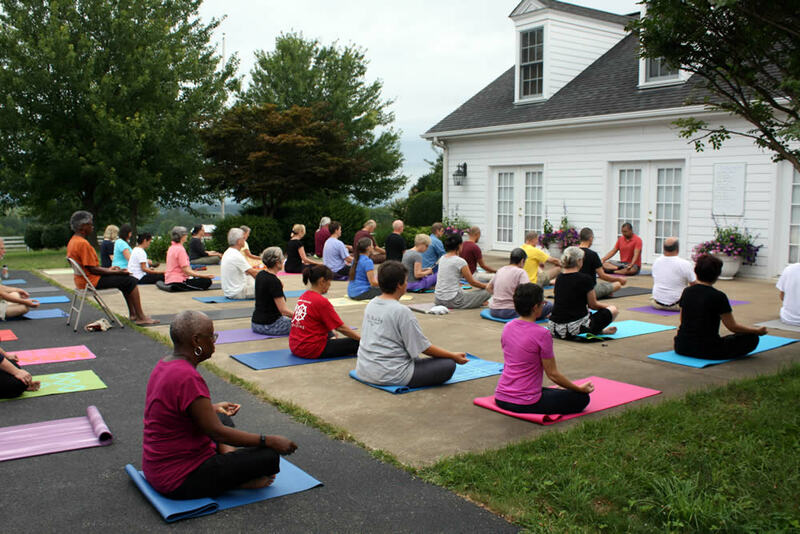 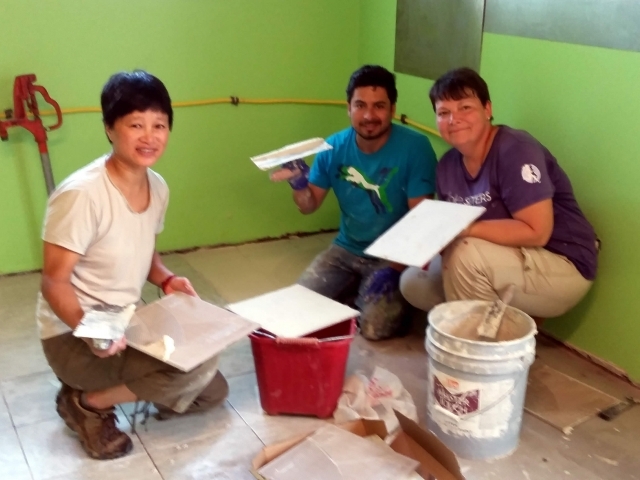 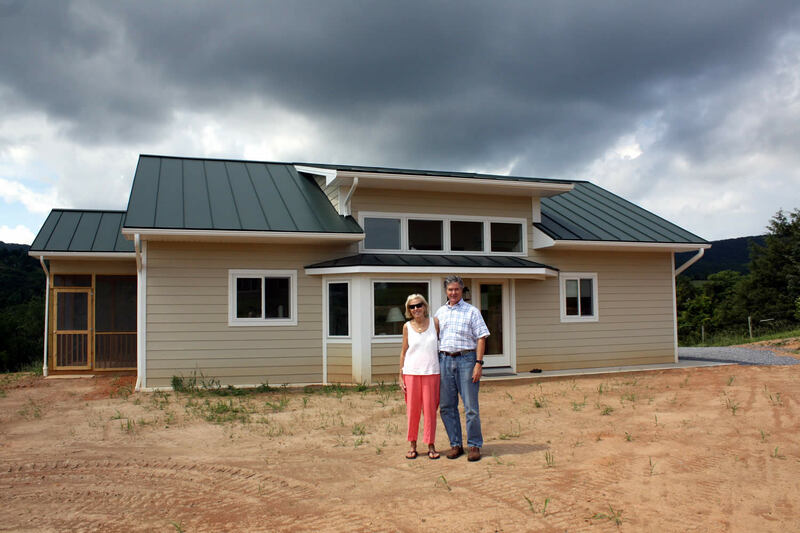 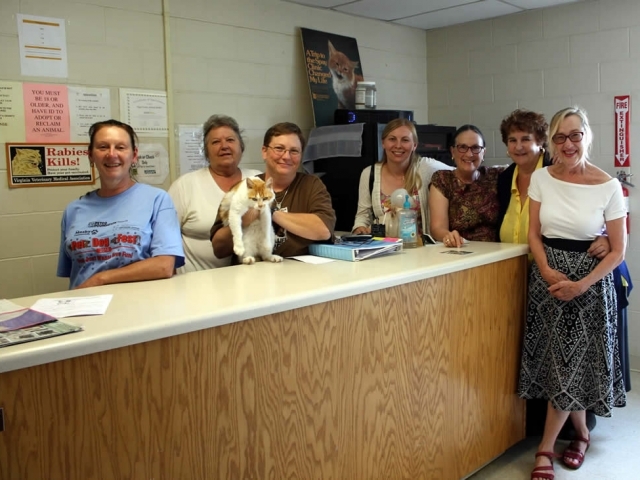 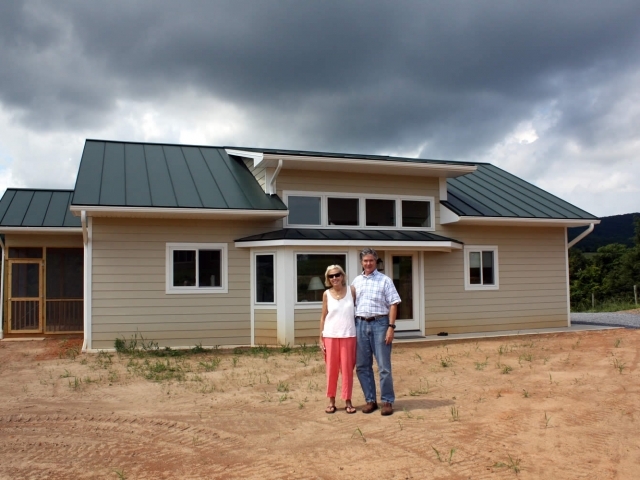 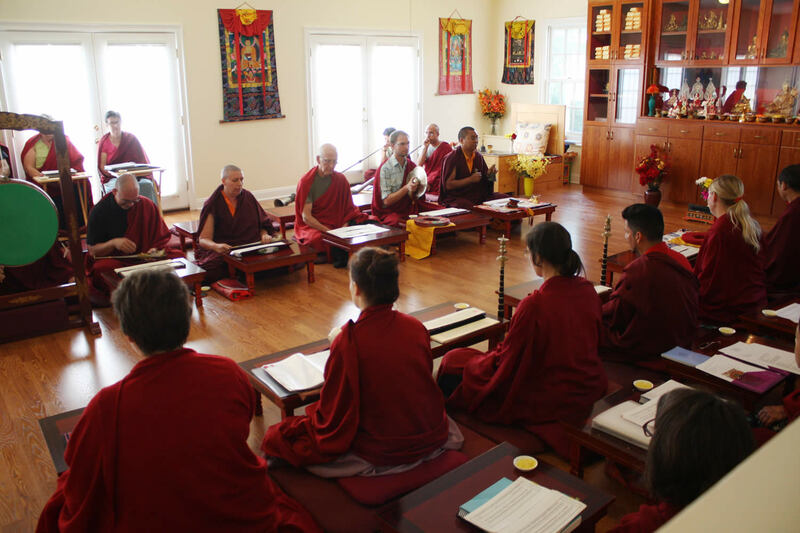 Upon returning from pilgrimage, the sangha plunged into a spring and summer season of preparing buildings and land for upcoming programs. 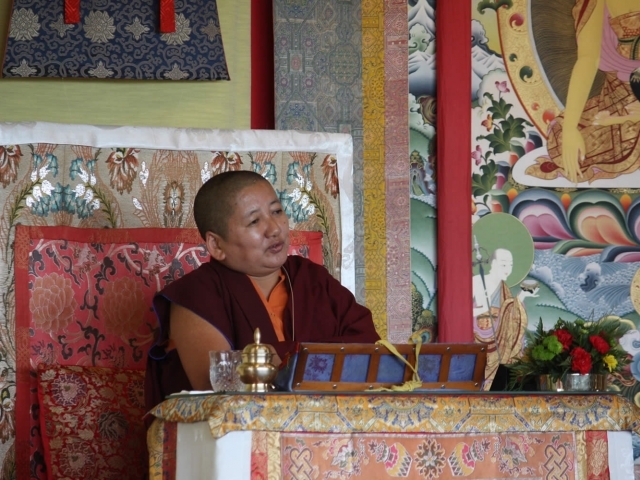 Minling Jetsün Dechen Paldron was in residence, providing continuous inspiration and guidance, along with the delightful young Dungse Rinpoche and Jetsün Rinpoche who brought so much joy to everyone. 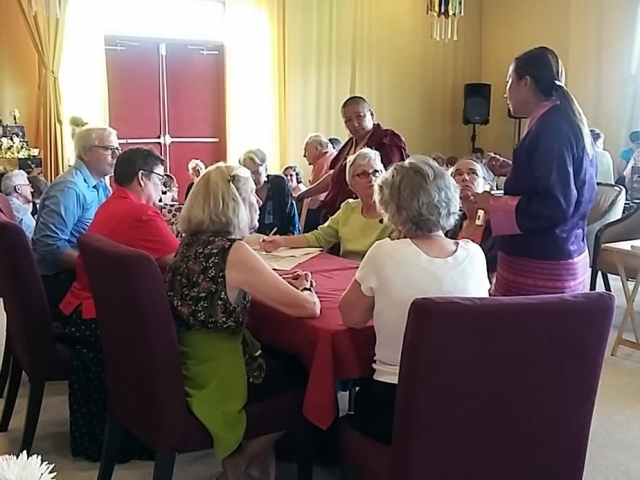 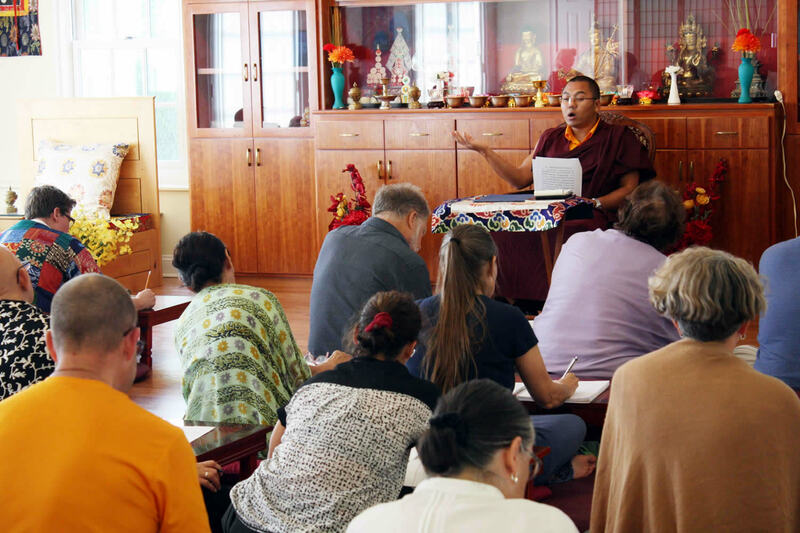 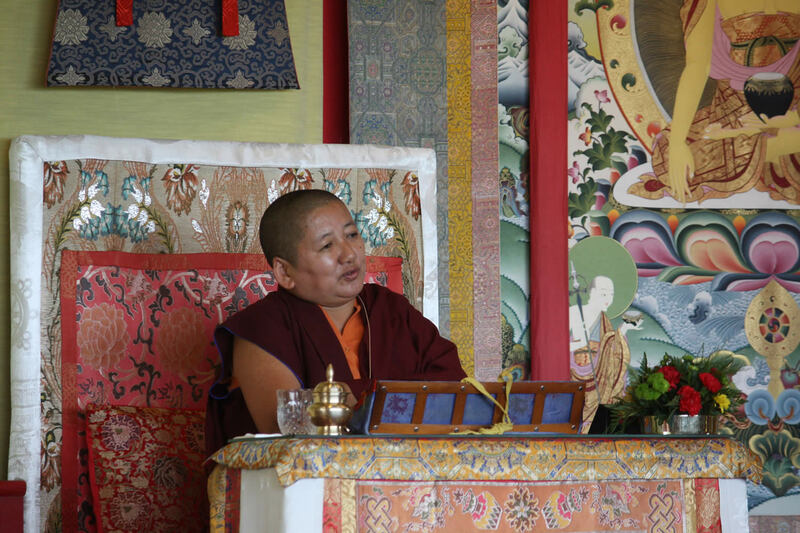 Rinpoche and Jetsunla, with vast vision and compassionate activity, had been reshaping the training methods and curricula for Lotus Garden, and now introduced two new annual programs. 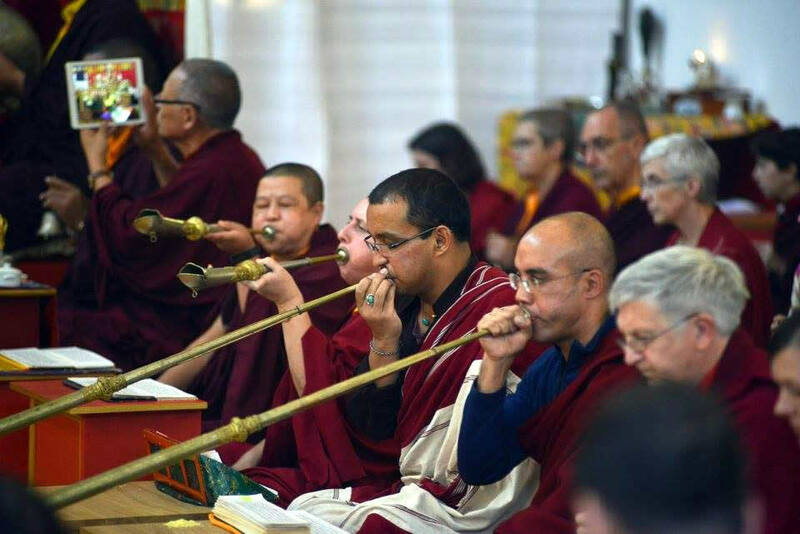 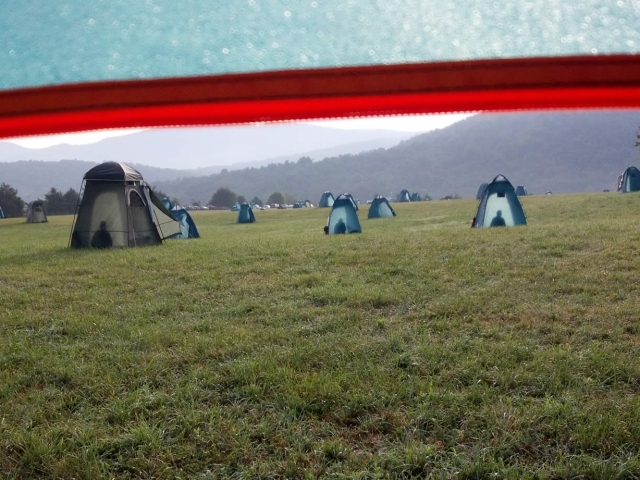 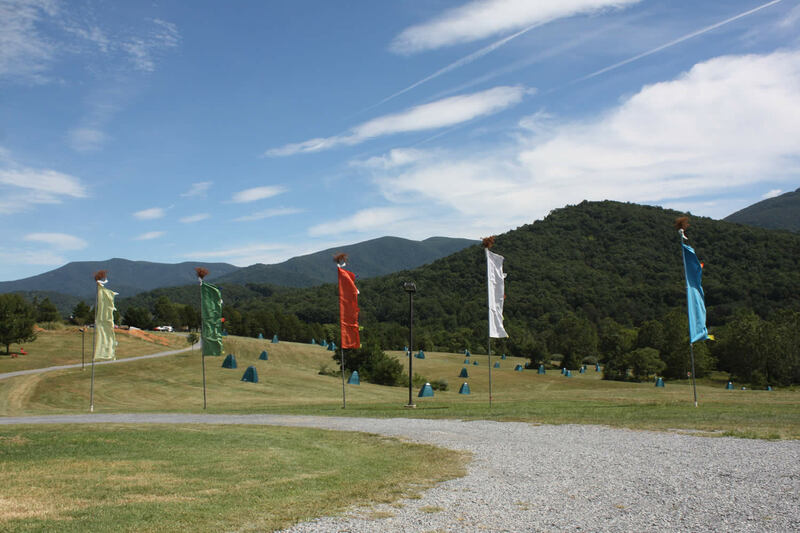 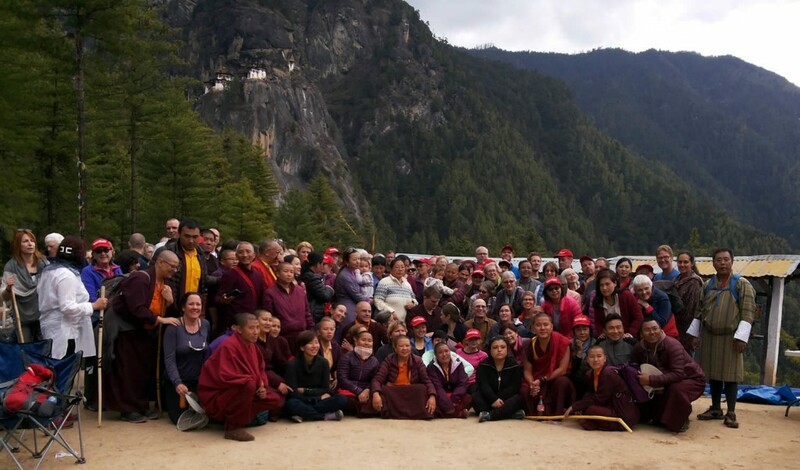 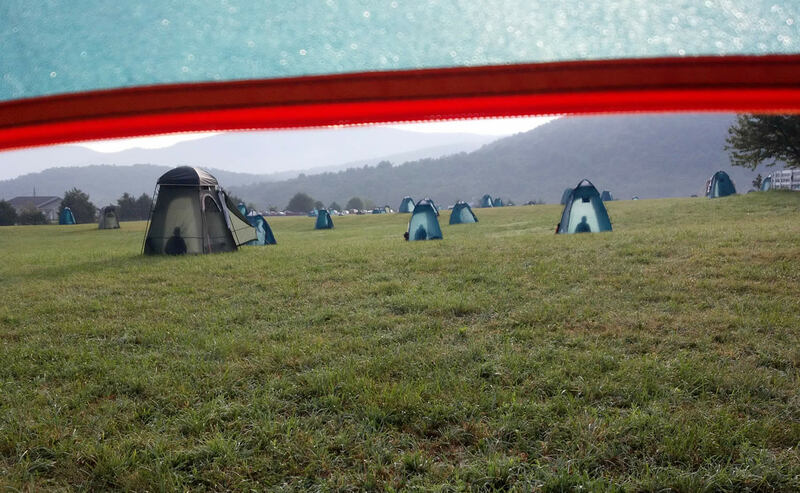 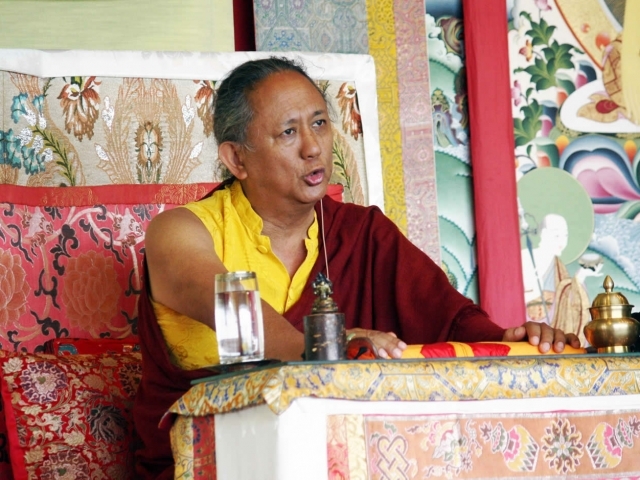 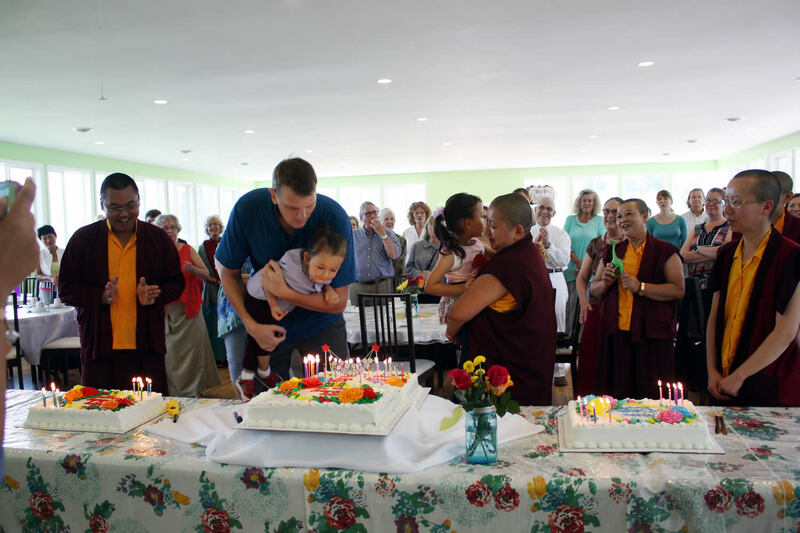 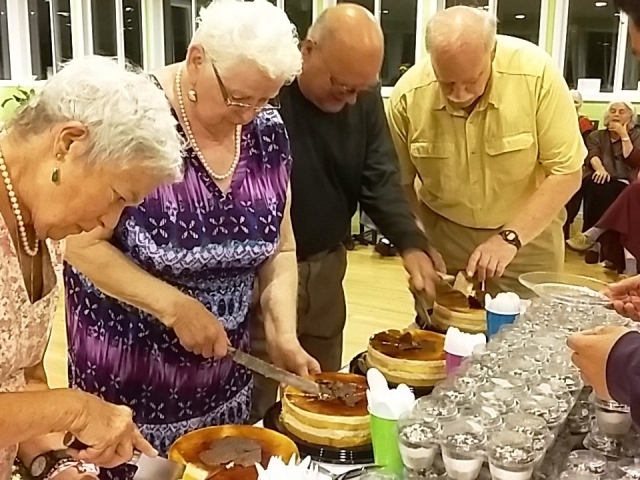 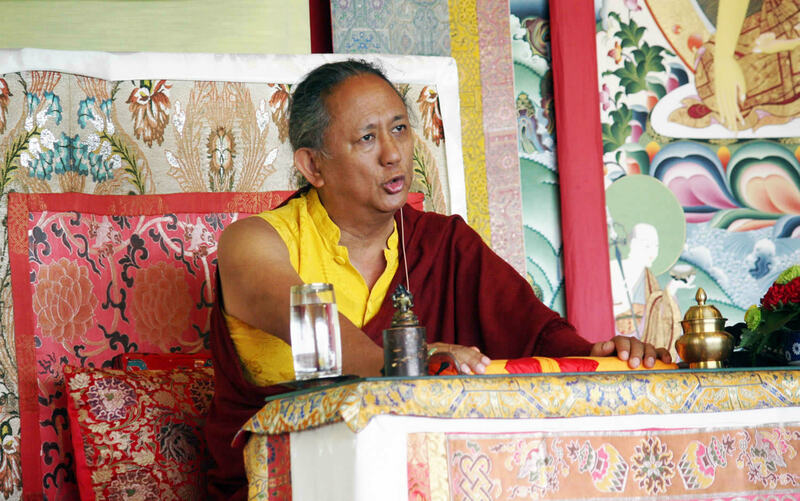 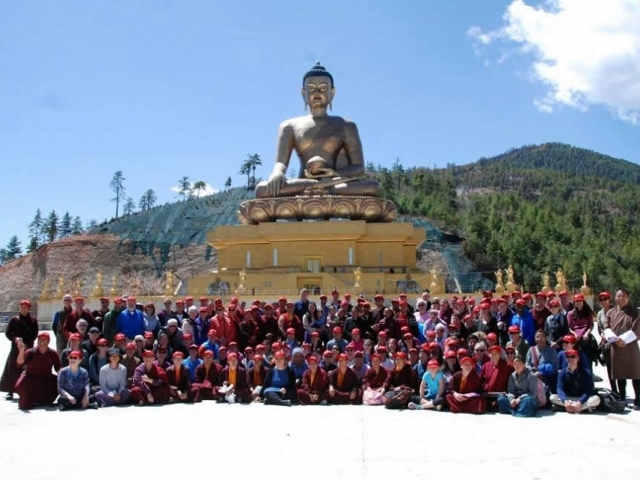 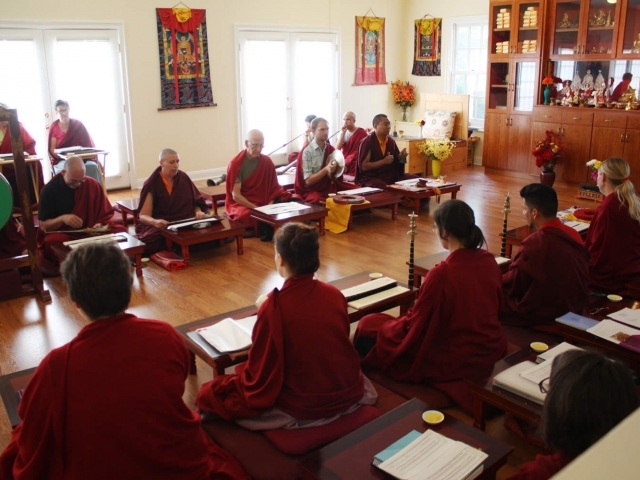 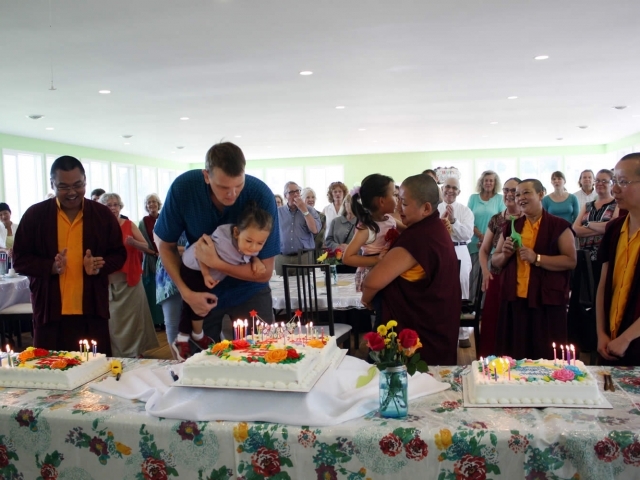 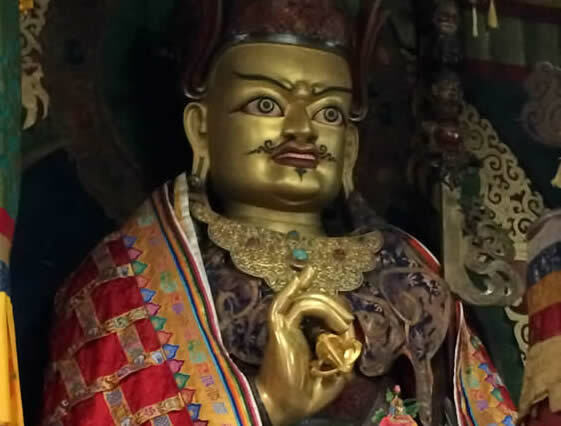 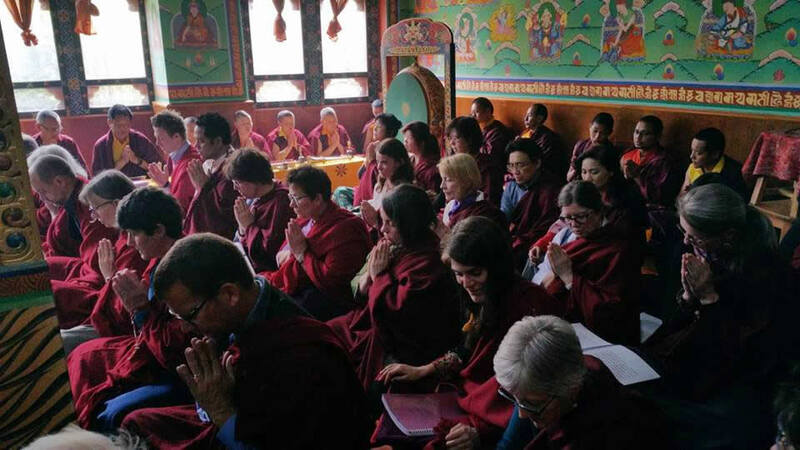 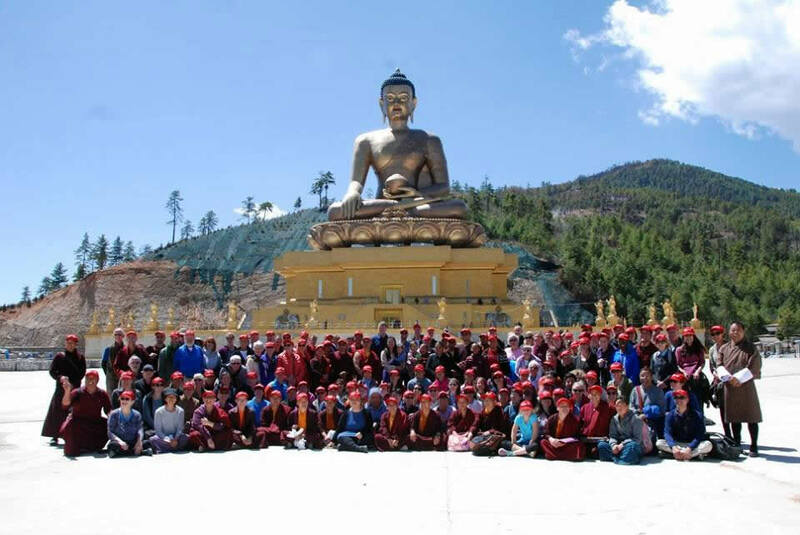 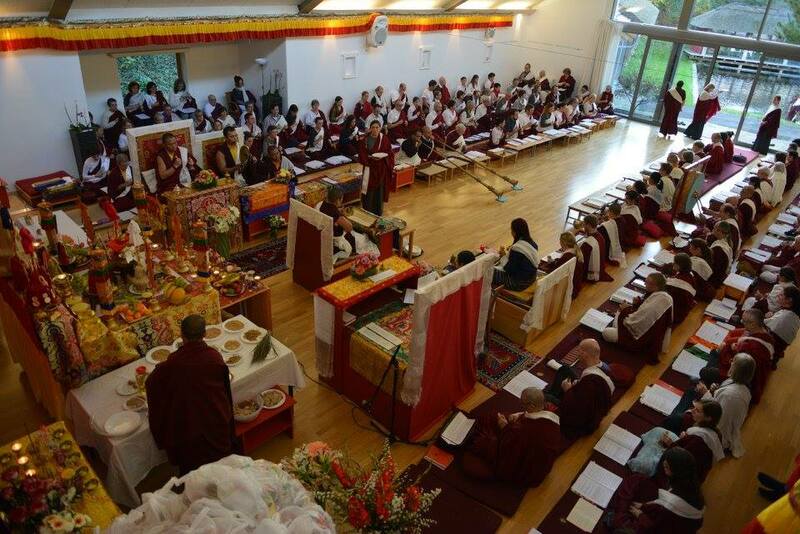 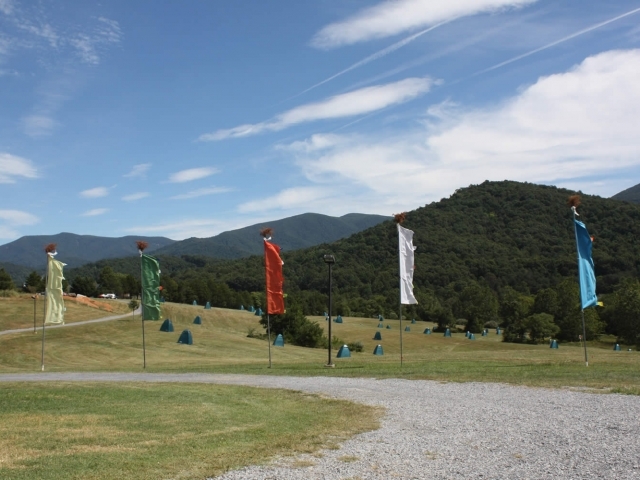 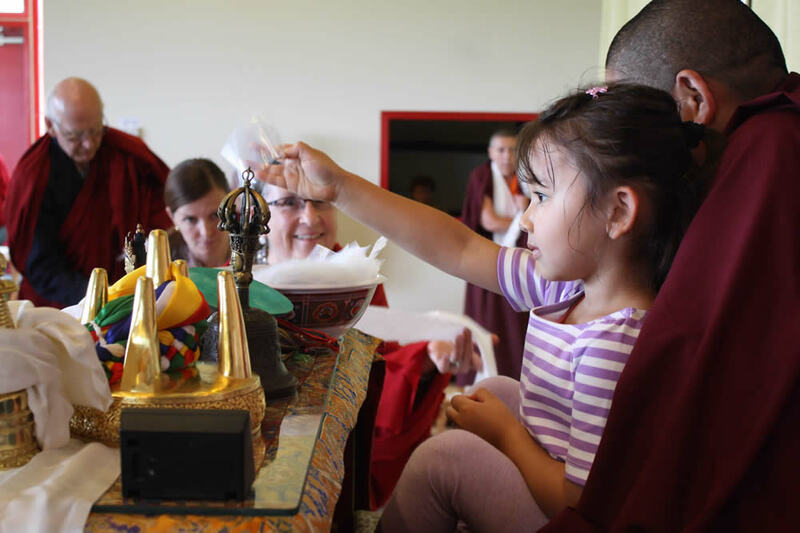 The first annual Mindrol Lekshey which was held from July 21 to August 21 and the first annual Vajrayana Retreat which ran from September 9-25, were eagerly embraced by practitioners who attended in record numbers. 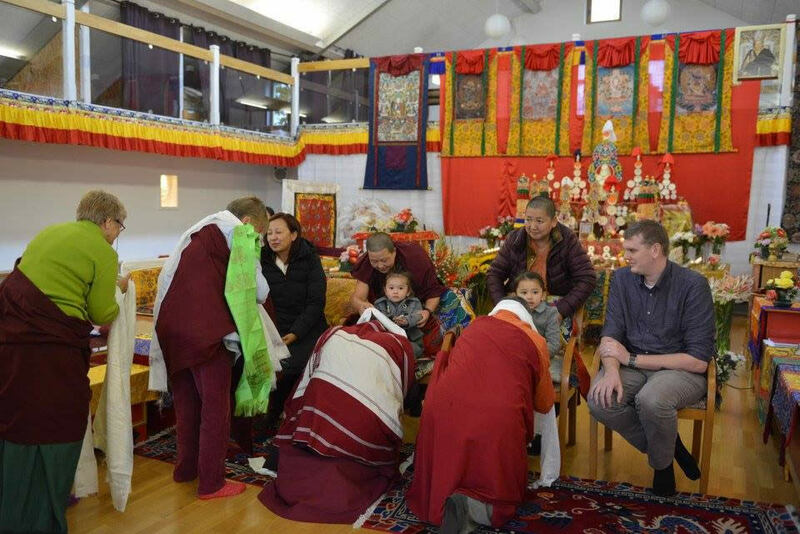 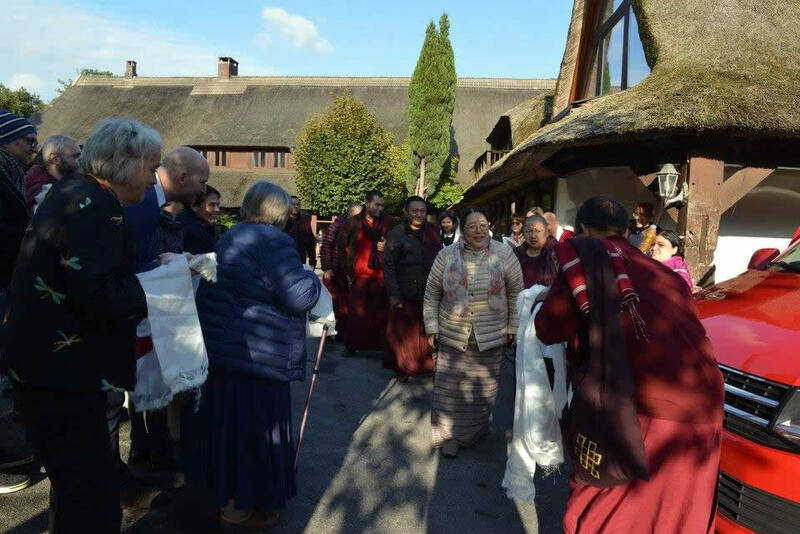 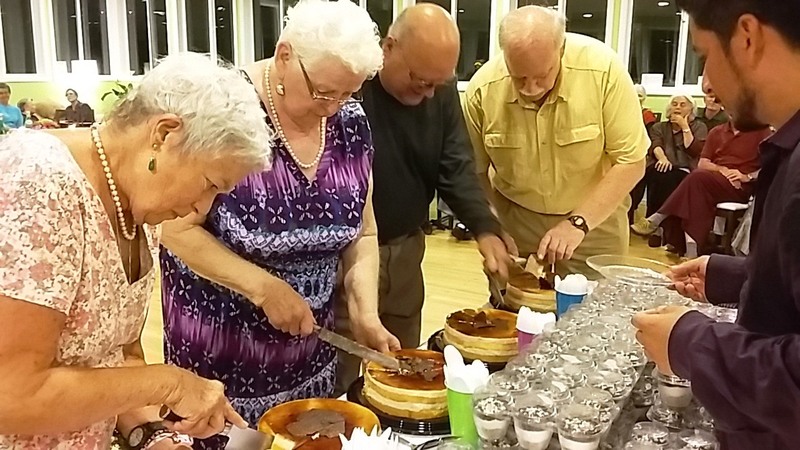 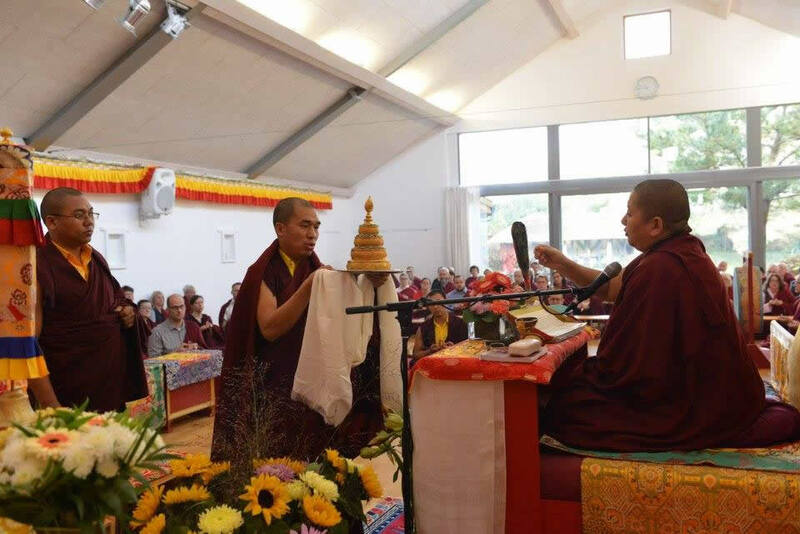 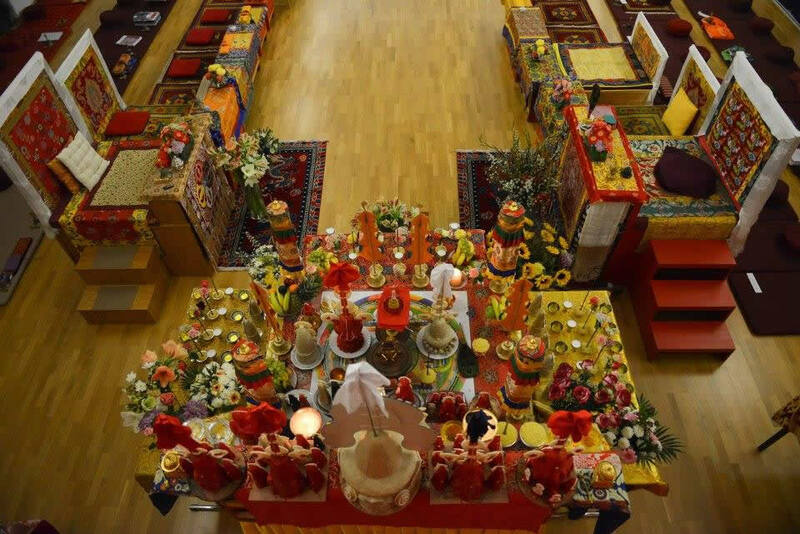 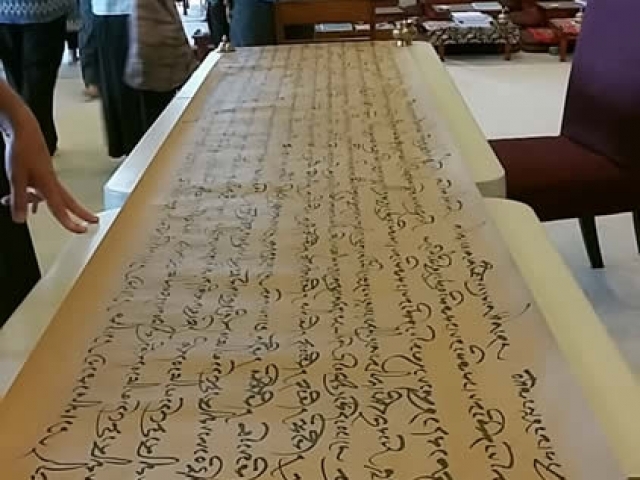 Soon after retreat ended, the first annual Mahasangha took place in Germany and a group of Lotus Garden sangha members set off to join European sangha members in a five-day drubchoe of the Minling Dorsem. 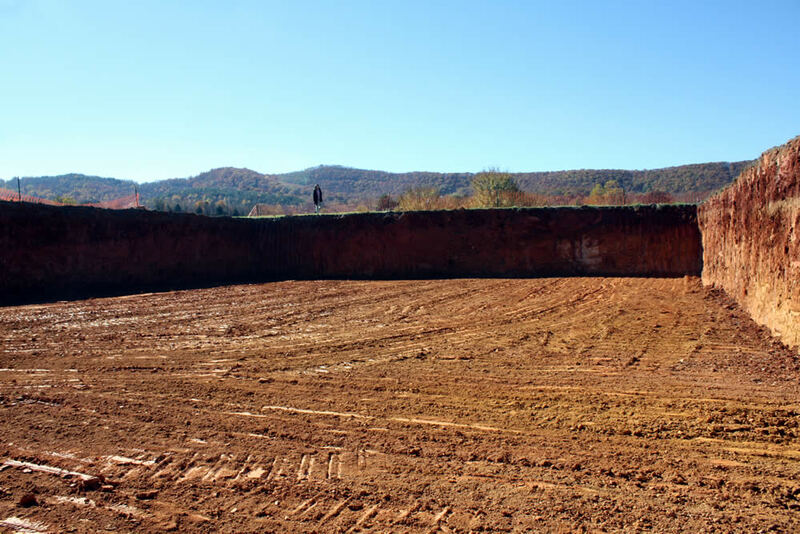 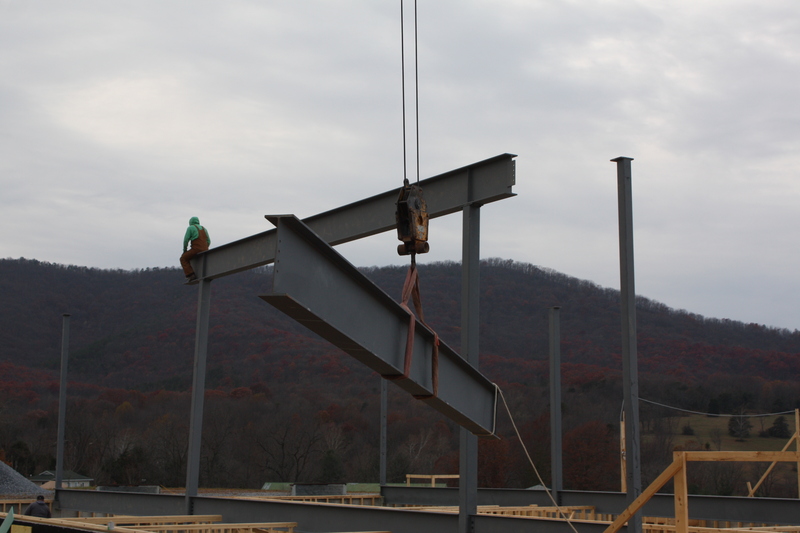 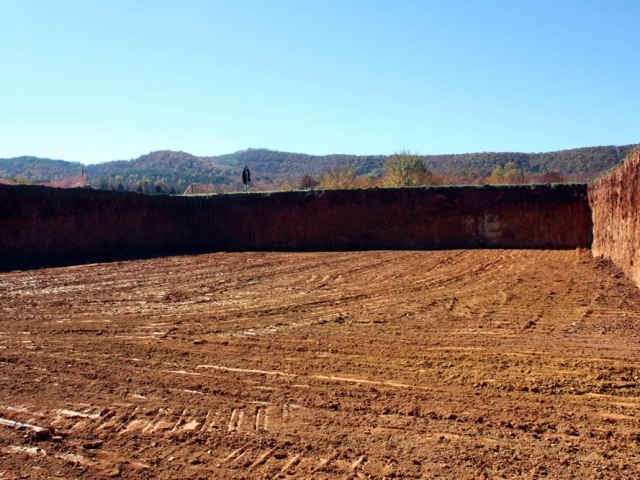 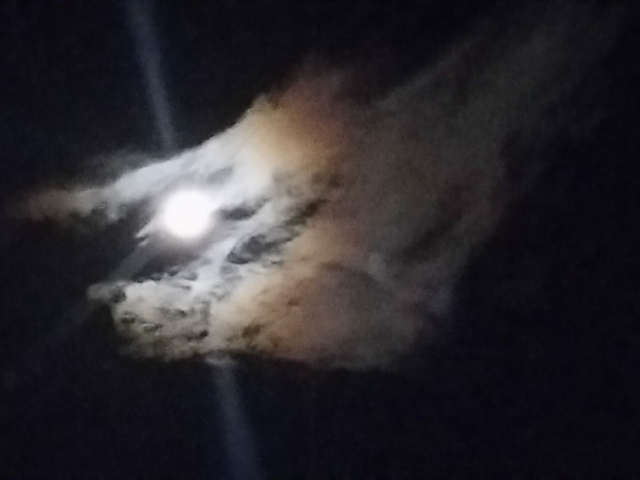 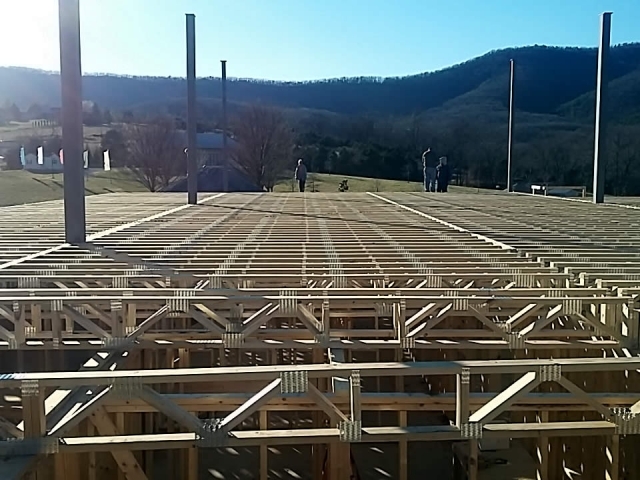 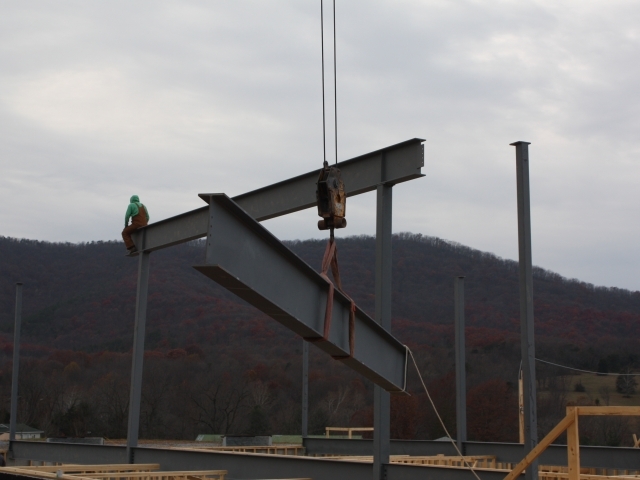 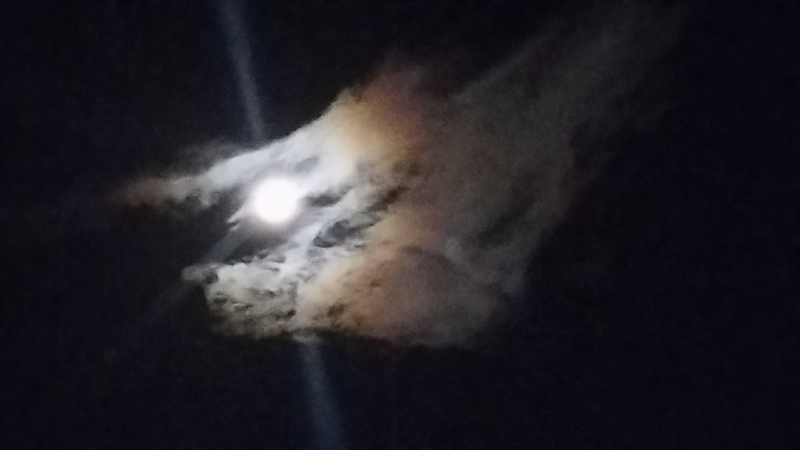 As the trees grew bare and November winds swept the land, the new temple, the main seat of Mindrolling in the West, rose above ground with the installation of the first phase of customized steel beams. 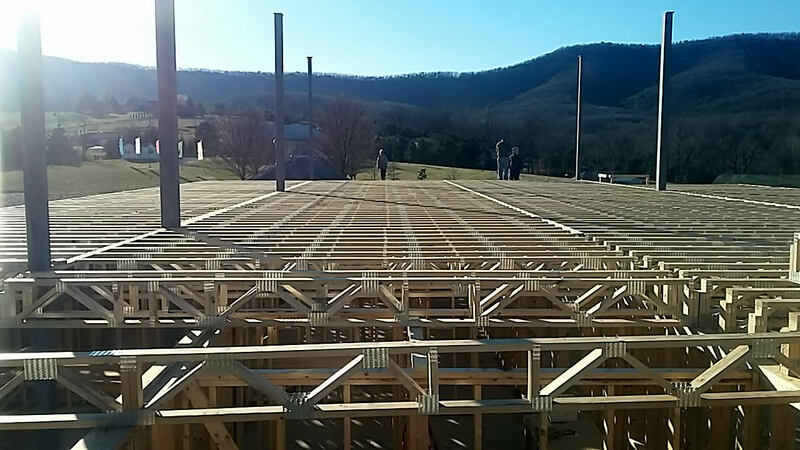 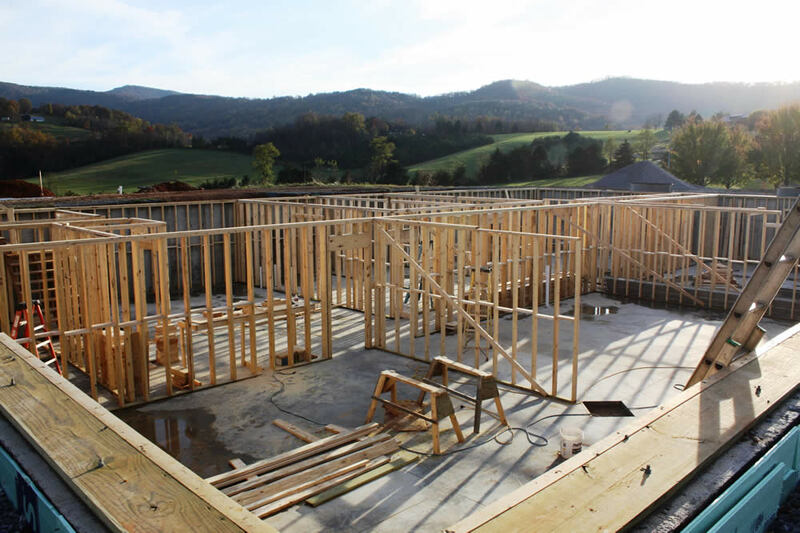 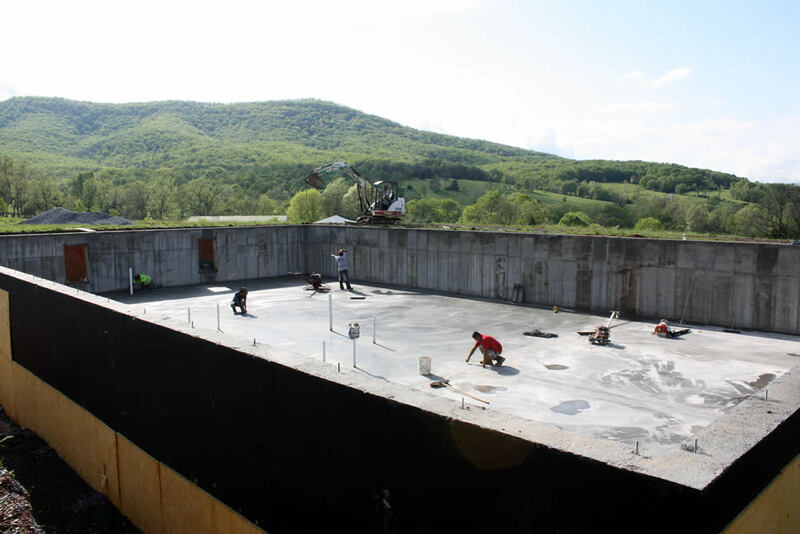 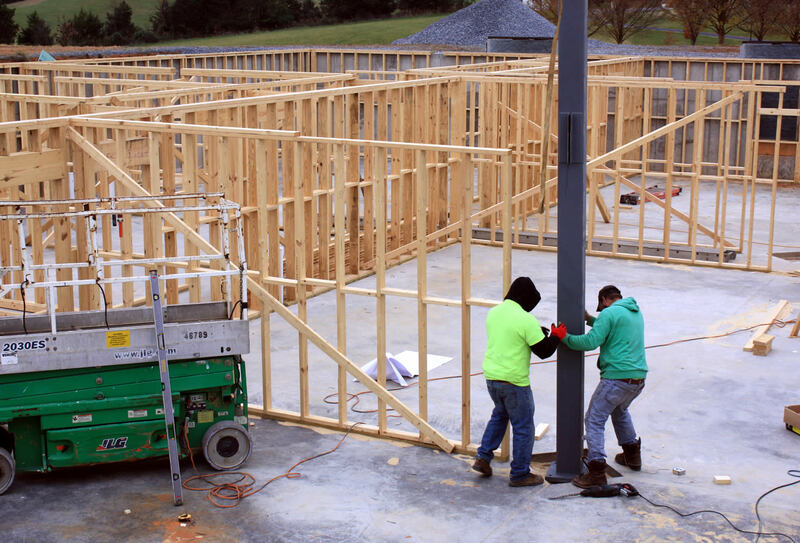 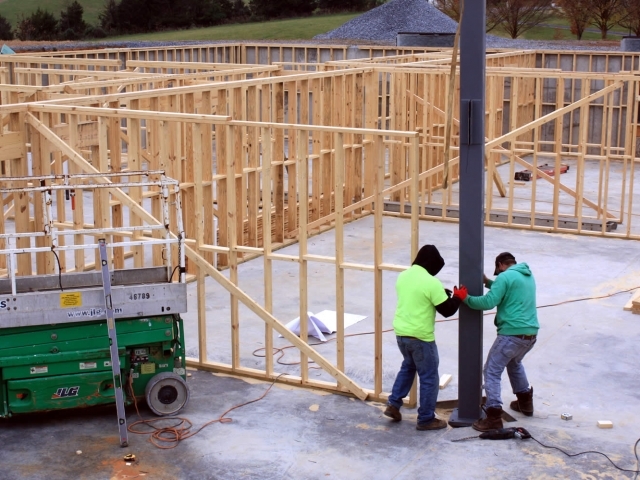 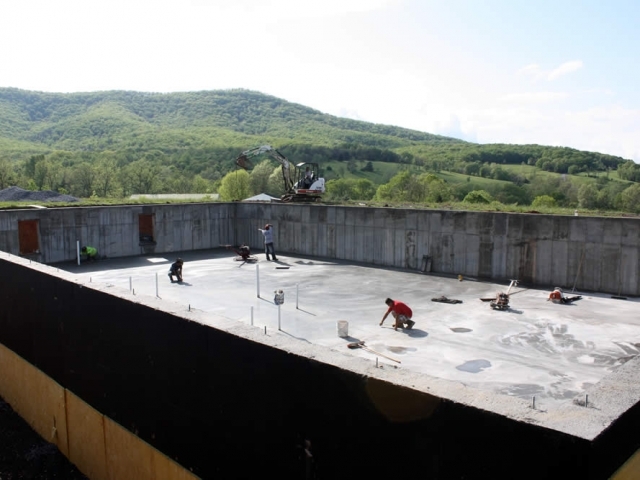 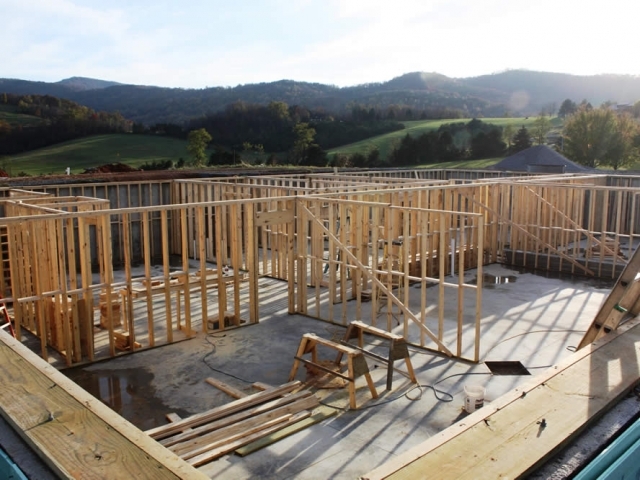 Construction will continue through the winter months as workers work ready the main floor of the temple for summer programs. 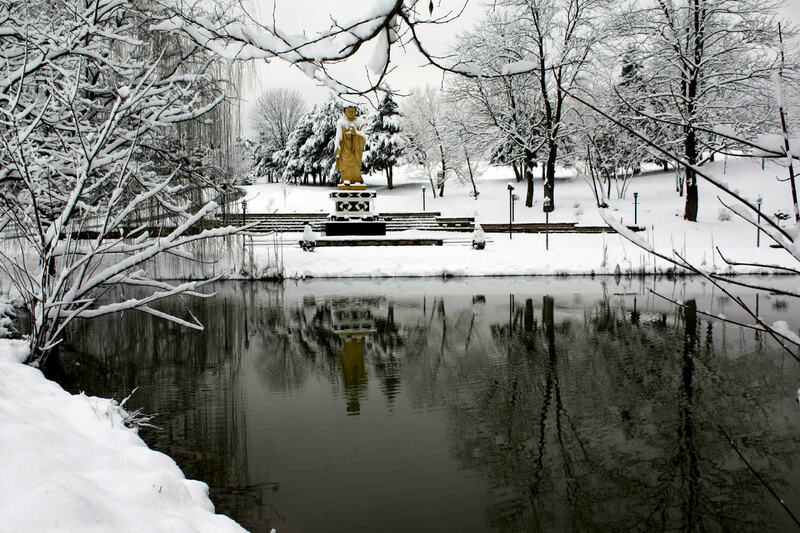 As 2016 draws to a close and the winter holidays are upon us, a group of practitioners will be gathering at Lotus Garden for the winter holiday retreat, to review and practice teachings Rinpoche bestowed during the Vajrayana Retreat—a quiet conclusion to a magnificent year.